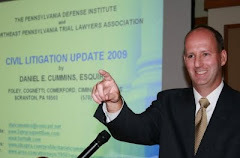 According to a July 1, 2013 article by Zack Needles entitled "Stevens Confirmed to Pa. Supreme Court" in the online edition of The Legal Intelligencer Superior Court President Judge Correale F. Stevens has been confirmed for his appointment to the Pennsylvania Supreme Court to fill the seat vacated by former Justice Joan Orie Melvin. According to the article, the Senate vote was unanimous in favor of Judge Stevens' appointment. This appointment brings the Pennsylvania Supreme Court back up to its full complement when Justice Stevens begins his term at the end of July. Prior to his service on the Pennsylvania Superior Court, Judge Stevens also served on the bench of the Luzerne County Court of Common Pleas.